Man Cup, North America’s premier all motorcycle drag racing organization is proud to announce it has established the 4.60 Challenge, a unique race within a race at the World Finals. 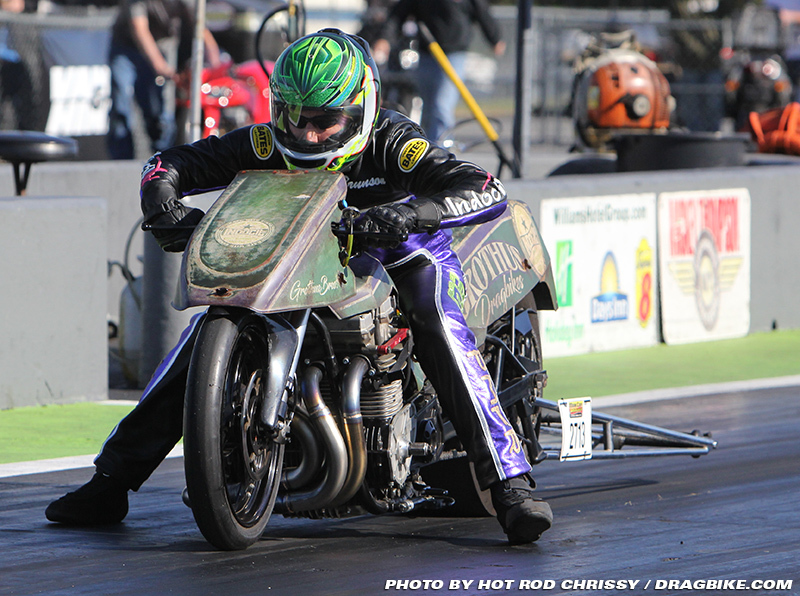 Like the wildly popular Pingel Top Fuel World Cup and DME Racing All-Star Shootout specialty events already in place at the World Finals, the 4.60 Challenge is a Man Cup initiative dedicated this time to Sportsman’s quickest category. “The initial concept was born in the staging lanes of the 2017 Mann Hill Garage World Finals presented by Kibblewhite Precision Machine. Since then, a steady flow of dialogue, ideas, brainstorming and repeated trips back to the drawing board have got us to where we are thrilled with the final recipe,” stated Regan. The inaugural 4.60 Challenge, debuting at the 2018 World Finals, will feature a unique team-based concept that will reward not only the overall winner but also the best performing team of the competition. The field will be made up of four teams of four. 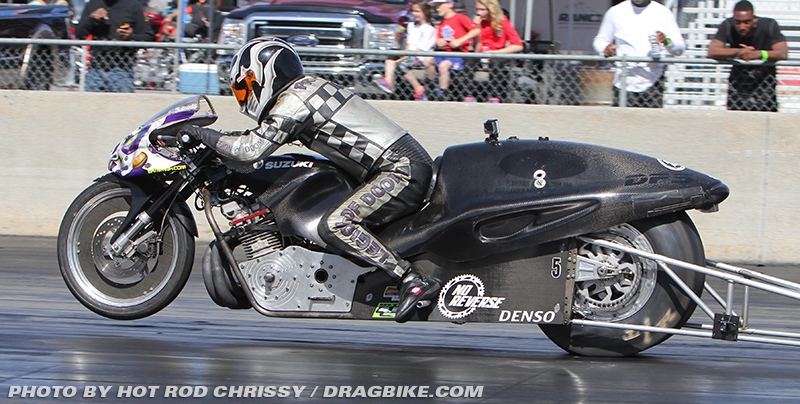 Invites will go out to top points earning riders in XDA, I-65, NHDRO, and Man Cup. A rider will be eligible to participate from whichever series he or she is highest in points and can only compete on one team. Spots on all four teams will be offered to points earners from first on down the line and will be filled once all four slots are taken. “This will be a great event to showcase the incredible talents of sixteen very hard-working Sportsman racers. It will not only be a race for bragging rights for the overall winner, but also one where team, as well as I, will be the mantra. I expect a great showing of series partisanship and pride to be on tap.” concluded Regan. Stay tuned for the complete schedule, entry fee, purse, eliminations ladder and run schedule will be released in the very near future. With the addition of the 4.60 Challenge, the 2018 edition of the Man Cup World Finals is assured to be bigger and better than ever. It is strongly suggested you make this the “must attend” event on your 2018 schedule. Eight 1st round losers will receive $50 GDB credit. Four 2nd round losers will receive $100 GDB credit. The better semi-final package loss will receive a billet throttle assembly ($450 value), with the other semi-final loser receiving $250 GDB credit. The winner will ride away with a pocket full of $4,000 and the 4.60 challenge championship! The bracket is going to be created before the event, hopefully before the end of this month (!) with commitments (via PayPal down payment). We’ll do a Facebook live random draw with only 1 representative per race organization in each of the 4 quadrants. Moreover, the earliest 2 racers from the same organization could meet would be the semi-finals. Outside of that, it will be random. Let’s get a roll call and find out who will be crowned the 4.60 champion! Remember, this is all going down prior to the Sunday Man Cup Grothus Dragbikes Ultra 4.60 series race that will pay up to $5k! !